Do you want to know what our students do in Indonesia, Thailand and Myanmar? Which state-of-the-art research is going on at the faculty? Come to CiTG on Thursday 7 June! We would like to welcome you back to the faculty to meet your fellow (water) alumni again. The evening revolves around the theme 'water: ripples in a pond', what impact do water managers and hydraulic engineers of the TU have? Meet each other during the walking dinner, view the exhibition Stories of Science and taste a beer of purified waste water. Professor Wim Uijttewaal and Professor Merle de Kreuk will give an inspiring lecture and the evening ends with a drink. 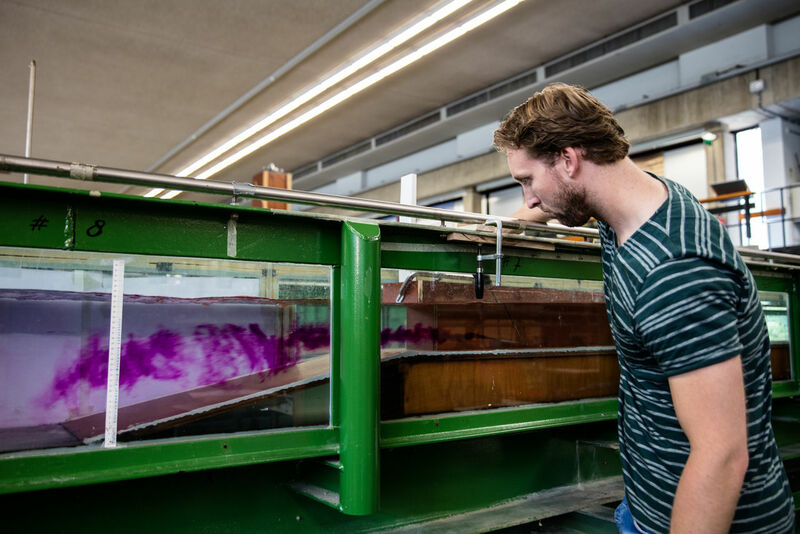 Prof. Uijttewaal is head of the Hydraulic Engineering department. In the past 22 years he has supervised many master students and PhDs. He is a specialist in, among other things, shallow flows, rapidly varying flows, sediment transport, fluid structure interaction and experimental techniques. Prof. De Kreuk gave her inaugural lecture as a professor this year after several years in academia as well as in the industry. She specializes in waste water treatment systems and anaerobic processes. Her interest lies in the link between biotechnology and civil engineering, and the link between fundamental research and industrial applications. Read the Story of Science about her multidisciplinary water purification project Lotus HR in India.